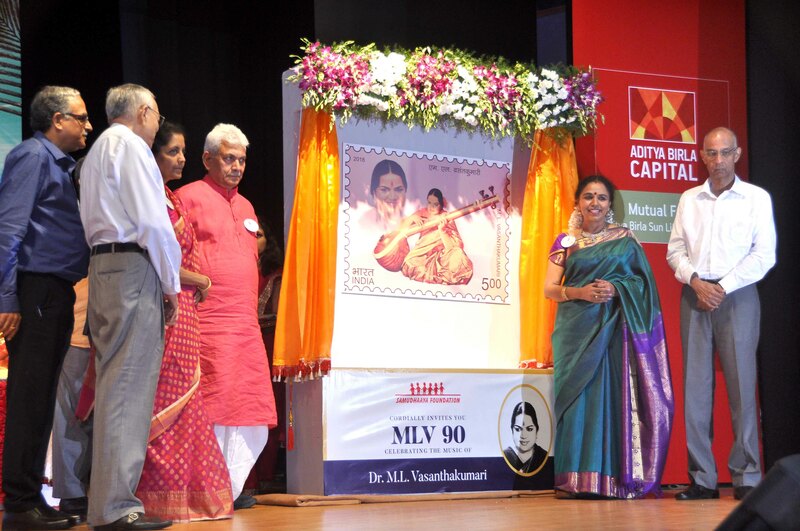 Sudha’s Guru Padma Bhushan Dr. M. L. Vasanthakumari is very much in the helm of affairs in Sudha’s musical life yesterday, today and everyday. She believes strongly that her Guru continues to be with her in soul and spirit, overlooking, guiding and blessing and it’s with humility that Sudha dedicates all her awards and accolades received thus far, at the feet of her beloved Guru. “Music knows no you and me. 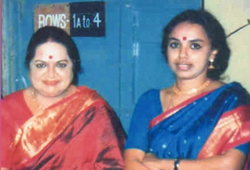 It belongs to everyone who sings.” Call it her ultimate tribute to her Guru, over the years, Sudha has been actively involved in teaching the nuances of the classical notes to the generation next. 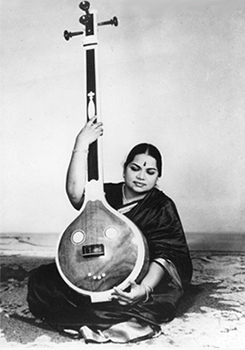 Sudha also plans to start her own ‘Sangeetha Gurukulam’ to provide vocal music training to continue the rich musical heritage that her Guru always believed in. 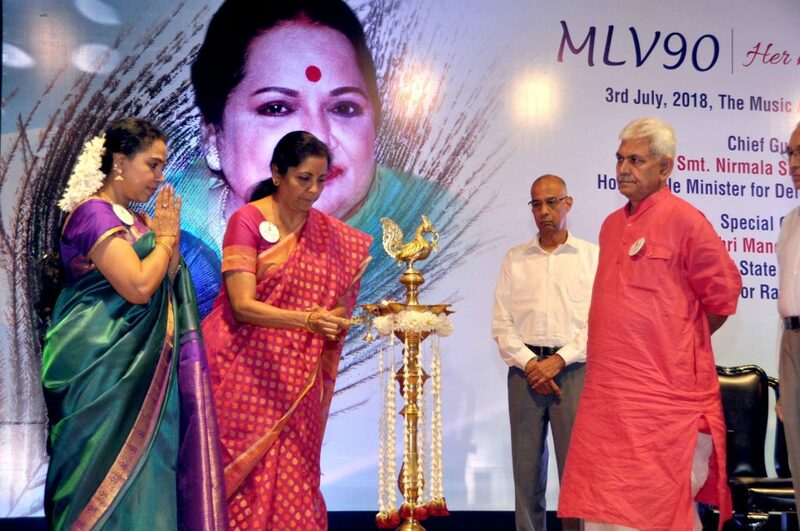 Guru Dr. MLV, again, had inherited a vast knowledge and treasure trove from her Guru the great GNB, whose birth centenary celebrations commenced on 6th January 2009 and culminated on 6th January 2010. It was Sudha’s privilege and honor to have lit the kuthuvilakku to commence the centenary celebrations of her Grand Guru. “Music knows no you and me, It belongs to everyone who sings.” Call it her ultimate tribute to her Guru, over the Years, Sudha has been actively involved in teaching the nuances of the classical notes to the generation next. Her very presence in this earth, her gift of music, the blessings of Gurukulam and Guru Bhiksha are all what has made Sudha who she is today and she bows her head and folds her palms in prayer and humility…. that she continues to be blessed and have the graces of the Almighty and her Gurus and that she also continues this mission of spreading music across the world. Shri Gurobhyo namaha…. As a blessed inheritor of the MLV legacy, it has always been a long standing dream that I do justice to the school I hail from in terms of passing on the baton. I have thought for some time, conceptualizing my path of gurukulam and dwelled on the nuances that goes into making worthy disciples of a worthy guru. It is hard work and dedication that comes foremost. The commitment levels have to be at an all-time high and the accountability of carrying on this honored legacy should continuously reverberate in all the crevices of the heart. I have experienced this feeling every single day of my 13-year tutelage with my revered Guru MLV Amma and hence can proudly boast of a strong foundation. Today, my dreams are turning into a reality. On the auspicious day of the Tamil New Year, I am happy that I could launch ‘Sudhaarnava – Academy for Musical Excellence’. I place this venture at the feet of the Almighty, my mother and my guru for their blessings and commence with their divine grace. Sudhaarnava welcomes applications from senior students. The first phase of Sudhaarnava opens up to the advanced category – those who have already trained for 6 plus years. If you are keen to be tutored at Sudhaarnava, please mail an audio clip of your renditions – two kritis to sudhaarnava@gmail.com. The two kritis should highlight any aspect of manodharma or creative singing, raga delineation, neraval or swaraprasthara. The shortlisted applicants will be contacted and communicated to on the next steps. Let’s speak the language of music. It’s the most pristine form of communication and the most beautiful form of connecting.